There is also access to recreational diving at Hemel Hempstead Diving Pit most weekends. Our Learn to Dive Programme has been established to help the club find its future diving stars and to promote the safe use of our diving facilities within the community. 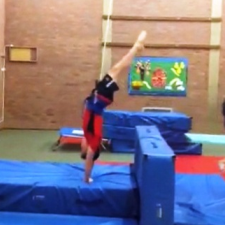 The programme introduces the sport in a fun, safe environment, and encourages the development of coordination, balance, agility and basic diving techniques. We hope that the course will be fun and engaging and novice divers graduating from the programme may be invited to join one of DDCs diving squads. For more information on our Learn to Dive Programme please follow the link above. We currently have 4 competitive diving squads, whose members range in ability from Novice (Level 2) to Elite Junior (Level 4). Each squad has it's own named coach who looks after no more than 8 divers, so each diver has a specific coach responsible for all of their training and development. All squad divers do a mixture of pool training and strength and conditioning training with access to a trampoline and dry board with a spotting harness to aid the development of tumbling and twisting skills. The club manages training sessions every day of the week across at a variety of locations for different groups of divers, with some squads meeting just twice a week and others training up to 9 sessions per week. For more information on our squad training programme please contact the Head Coach, Registrations Officer or complete our waiting list application form on the Join Us page. Dacorum Diving Club has an active Masters Diving section that looks after adult members, some with a long active background in diving and others who are complete beginners. In keeping with the Club's Mission Statement, masters divers are encouraged to participate in competitions appropriate to their level of ability. 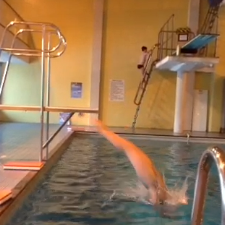 Adult diving sessions are held on Mondays and Sundays and the programme caters for divers from aged 16 years upwards. For more information please complete our waiting list application form on the Join Us page.